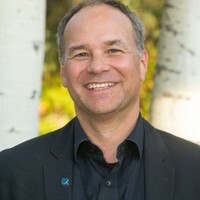 Stephen Patrick became the Executive Director of The Aspen Forum for Community Solutions at the Aspen Institute in November, 2012. Stephen Patrick is Vice President and Executive Director of The Forum for Community Solutions at the Aspen Institute. He oversees work at Aspen that includes a focus on building the collective impact field, as well as launching and implementing the Opportunity Youth Fund in partnership with over 30 different foundations. His work at Aspen has helped to grow the opportunity youth movement while also lifting up successful stories of civic engagement and community power building. Previously Steve served as a Senior Program Officer at the Bill and Melinda Gates Foundation. His work at Gates included managing a portfolio of grants focused on supporting disconnected youth on pathways to and through postsecondary education, along with work focused on adult education populations and education for justice involved individuals. Steve previously served as a Vice President at the Daniels Fund and as Director of Youth and Emerging Initiatives at the New Mexico Community Foundation. He is the Co-Founder of Rocky Mountain Youth Corps – the largest AmeriCorps program in New Mexico. He spent several years leading youth programs for the San Juan Pueblo Tribe. Steve has served on a number of Boards including Grantmakers for Education, and Philanthropy for Active Civic Engagement (PACE). He was selected as a Next Generation Leadership Fellow by the Rockefeller Foundation and was appointed by Governor Richardson to serve as the Co-Chair of the New Mexico Commission for Community Volunteerism (AmeriCorps). In 2008, Stephen served on the Obama Transition Committee focused on Social Innovation and Civil Society. He lives on Bainbridge Island with his wife, Suzanne and sons, Jackson and Will.